When I was just a little girl, I look like a stick. Believe it or not, I was skinny thin! My parents, grandparents, aunts, uncle are worried that I was malnourished. Good thing, I don't have a big belly. I am thin because I was a picky eater. I turned out to be undernourished. Under nutrition is a consequence of consuming too few essential nutrients. Infants, young children, and teenagers need additional nutrients in order to be healthy. Recently, I was invited to a round table discussion on the health and wellness of Filipino children hosted by Chemical Company of Malaysia International Philippines, (CCM) the distributor of CHAMPS Chewable Vitamins. According to Dra. 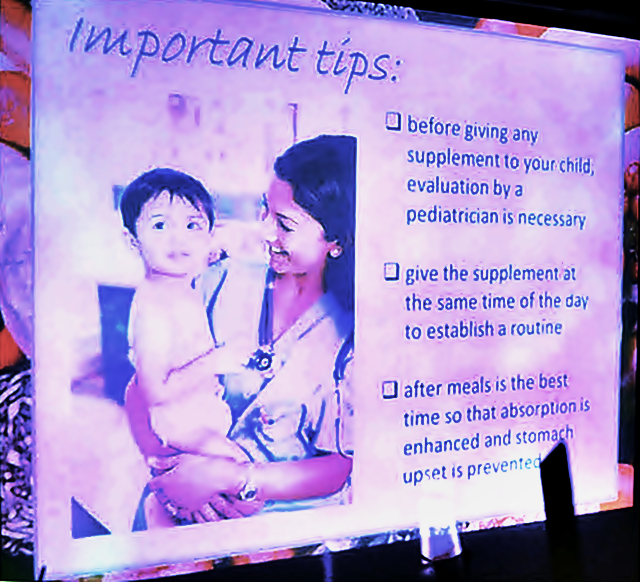 Lourdes B. Escobar, Obstetrician-Gynecologist at Delos Santos Medical Center in Quezon City, even if we train our child to eat the proper food, sooner or later when they start to go out in the real world, these little humans will soon start to develop their own preferences and taste. It is a sad fact that parent/s can only do "forced" proper feeding to their child up to two (2) years of age. After that, the child will start complaining and eventually start their own diet. When that happens, the child will most probably have inadequate vitamins and minerals required for proper development. Yes, even if he or she appears healthy. What to do when your kids are undernourished? This is where multivitamin supplements, like CHAMPS, come in. 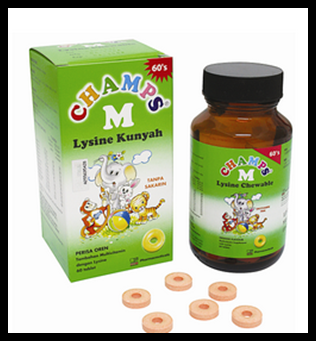 It is safe for children as long as it does not exceed the recommended daily allowance for any vitamins and minerals. Same statement is true even for adults! Giving double dose of multivitamins without doctor's prescription is a big NO-NO! Dra. Lourdes gave important tips to mommies and guardians. She advised every mommies not to forget to give their children multivitamins everyday. She also said that it is necessary to consult a pediatrician for proper evaluation and not just celebrity endorsers! There is also a proper time of taking multivitamins, which is after a meal for proper and best absorption. 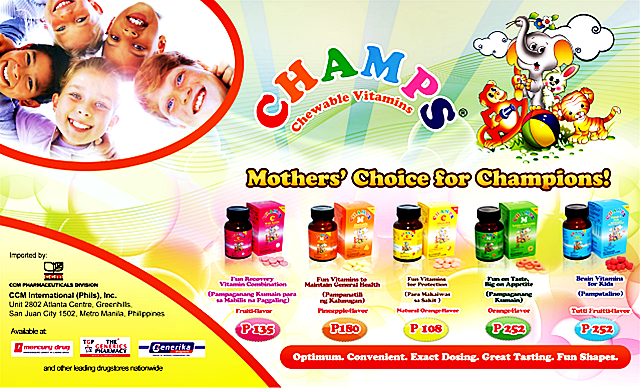 Champs Chewable Vitamins are distributed by CCM International Philippines, Inc., the local arm of Chemical Company of Malaysia (CCM), the largest generic company in Malaysia. CCM advocates providing effective medications at affordable prices. Consult your doctor about it.